SEATTLE, Wash. – October 17, 2016 – Redhook Brewery is celebrating the arrival of the winter season with the release of Winterhook, the brewery’s award-winning dark ale. 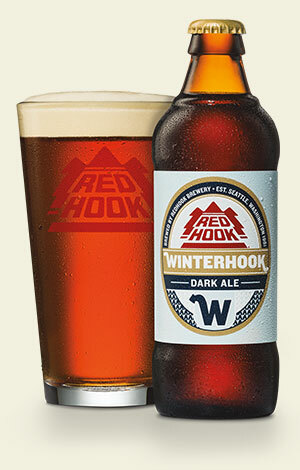 Brewed annually since 1984, Winterhook won the bronze medal at the 2012 Great American Beer Festival in the American-Style Amber/Red Ale category and continues to be a Redhook favorite. Perfect for cooler months, this legendary brew keeps it fresh with a new recipe every year. This year’s version, the 32nd incarnation of Winterhook, boasts a trio of hops that make for a hoppier version of the winter favorite. Beer fans can expect the Simcoe-forward hoppy ale, which is 6 percent ABV, to have hints of caramel along with a hop-forward taste. Winterhook will be available on draught, in 6 packs, 12 packs, and the Redhook variety 12 pack nationally, wherever Redhook beers are sold. Check out the Redhook beer finder (Redhook.com/find-beer), to find Winterhook near you. For additional information on Redhook Brewery, visit redhook.com and follow the brewery on Instagram, Facebook, and Twitter. Winterhook is an ever-evolving winter ale brewed since 1984. Crafted with a mix of malts and hops, each yearly edition of Winterhook is one-of-a-kind. The 2016 version has a healthy dose of Munich malt and includes flaked oats for a creamier mouthfeel. The malt is balanced with the addition of Simcoe, Centennial and Chinook hops. This year’s Winterhook is a rich amber color – in the altbier range – with more hop character from a heavier addition of Simcoe hops. Redhook was born out of the entrepreneurial spirit of early 1980s in the heart of Seattle. While the term didn’t exist at the time, Redhook became one of America’s first craft breweries with its focus on creating a better beer. From a modest start in a former transmission shop in the Seattle neighborhood of Ballard, to a Fremont trolley barn that housed The Trolleyman brewpub, to its current breweries in Woodinville, Wash., and Portsmouth, N.H., Redhook has become one of America’s most recognized craft breweries. Redhook will open a 10-barrel brewpub in the Capitol Hill neighborhood of Seattle early in 2017. Redhook’s beer lineup includes ESB, Long Hammer IPA, Extra Special Lager (ESL), American Pale Ale, and a variety of seasonal beers, including Blackhook, Summerhook, and Winterhook. Redhook beers are available on draught and in bottles and cans around the country. For more information, visit www.redhook.com.